Gascoyne Water Co-Operative Ltd have a small but conscientious team. Eddie grew up in Carnarvon and left for a period of approximately 20 years. He returned to Carnarvon in 2006 and worked for Horizon Power from 2008 - 2012 afterwhich he started his own Mechanical business. Eddie is currently a committee member of Carnarvon Growers Association and CWAC Committee. 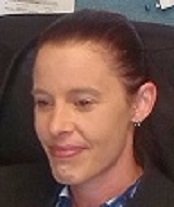 Lisa Hodson moved to Carnarvon in August 2010 with her husband and two daughters and commenced with GWC on 16 August 2010. Lisa brought with her 20 years experience in administration and is a valuable asset to GWC. Lisa is currently filling the position of Office Manager. In her spare time Lisa enjoys fishing, sewing and jewellery making. Lisa has also just resumed the Company Secretary position for both GWC & GWAMCO. Belynda commenced work with GWC on 9 August 2013. Belynda is already wellknown by some as she and her husband Paul Dixon use to run the Sandhurst Tavern and they currently provide security services via Sandhurst Security. Belynda is a valued member of the team filling the role of Administration Assistant.